Some of the city’s best attractions are the numerous monuments and memorials and they are free – even better! Keep in mind many of the monuments and memorials are open 24 hours a day and are beautiful at night. Click here for a map showing the location of all of the monuments along the mall and a suggested walking tour. Remember a lot of the tour buses will visit these locations and you can jump on and off in order to spend as much time as you like exploring. Click Here for a link to the Junior Park Ranger activity book. Print it our for the kids before you tour. It is full of maps and activities that will help the sightseeing become an interactive activity! The U.S. Park Rangers will be glad to help you answer the trivia questions. Click here for a link to the companies that offer daytime and evening tours. Guided Tours Daily at 9:45 am for a $1.50 fee. Click here for more information. 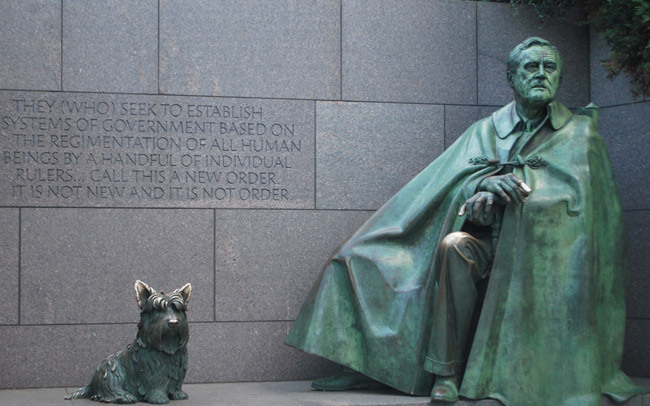 The Roosevelt Memorial is made up of a series of statues depicting significant periods of both President Franklin Delano Roosevelt’s life and our country’s history during his Presidency. The memorial lies along the southwest shore of the Tidal Basin, near the intersection of Independence Avenue, West Basin Drive, and Ohio Drive, SW. Hours: The memorial is open 24 hours a day with park rangers available to answer questions from 9:30am – 11:30pm. Informational programs are also offered by the park rangers every hour on the hour from 10:00am – 11:00pm. Metro Stop: Smithsonian. This is a long walk from the Smithsonian stop. 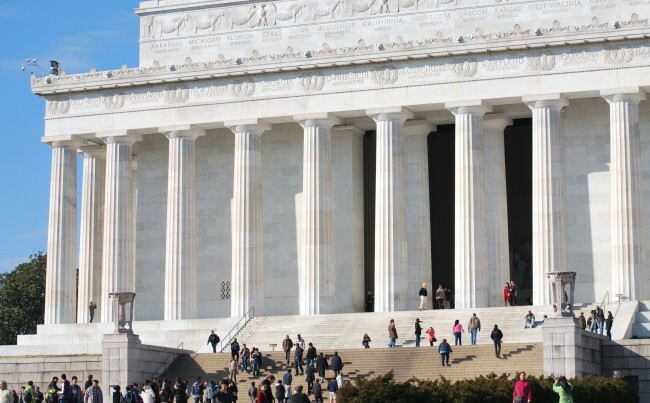 The memorial is an easy addition to a walk to the Lincoln Memorial, but there are also rickshaws (pedicabs) and cabs available if you need a break from walking. 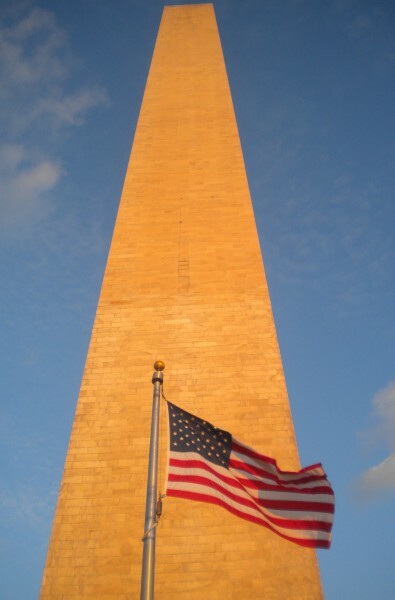 The Washington Monument is a 555 foot tower located on the National Mall. 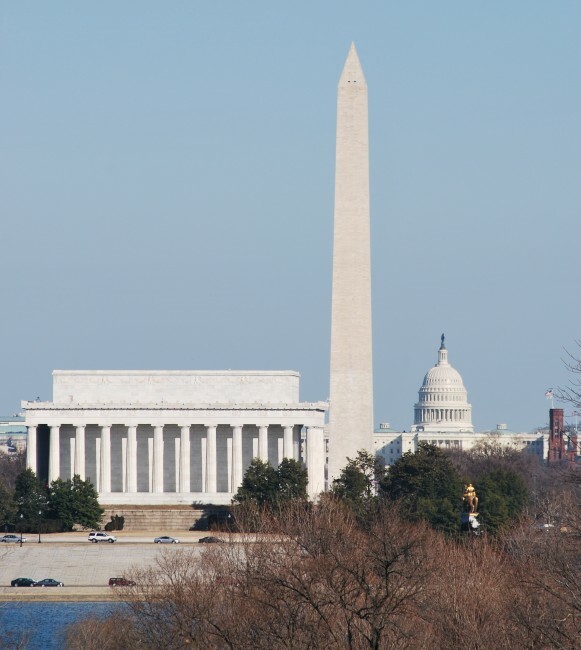 The monument is the highest building in Washington and offers some of the best views of the city. There is an elevator to reach the top which makes it a family friendly adventure. The tour takes about an hour including wait time at the base of the monument. You will have to wait outside so be prepared if the weather is especially hot or cold. Hours: The Washington Monument is open year-round 7 days per week from 9:00am until 5:00pm (last available tour ticket at 4:00 pm) except for part of July 3rd, as well as all day July 4th and December 25th. Check the National Park Service website to confirm extended summer hours as typically during the summer the Memorial will open from 9:00am until 10:00pm through Labor Day (last available tour ticket at 9:00pm). Tickets: Although tickets are available at the monument daily on a first come first serve basis, it is recommended to reserve tickets in advance on the U.S. Park Service website. Recreation.gov. 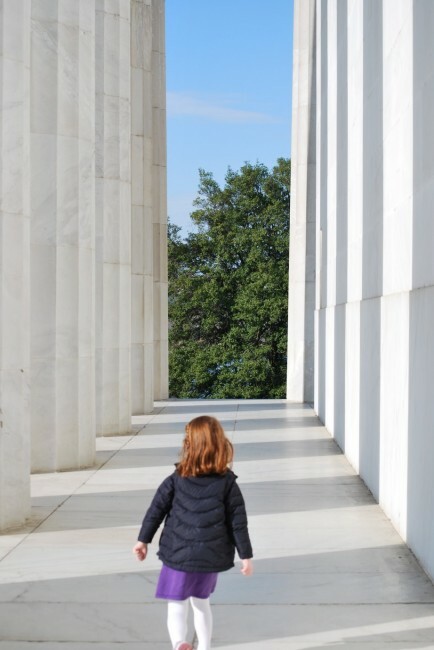 Strollers: Strollers are not permitted in the monument. You may leave the strollers outside, but be sure to take your personal belongings with you. 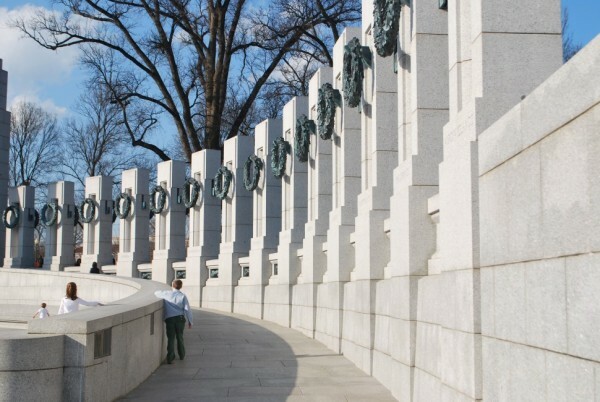 The World War II Memorial is an easy stop on your way from the Washington Monument to the Lincoln Memorial. It’s located on 17th Street, between Constitution and Independence Avenues. There is a lot of symbolism woven through the memorial so be sure to ask the Veterans who serve as guides in addition to the US. Park Rangers. Both will be able to fill you in on the meaning of all of the stars and the significance of the panels lining the entrance. In addition to the official government website you can also visit the World War II Memorial website and click on the fact sheets for even more information. Hours: The memorial is open 24 hours a day, 7 days a week with park rangers available to answer questions from 9:30 am – 11:30 pm. Tours are given every hour on the hour between 10:00 am – 11:00 pm. 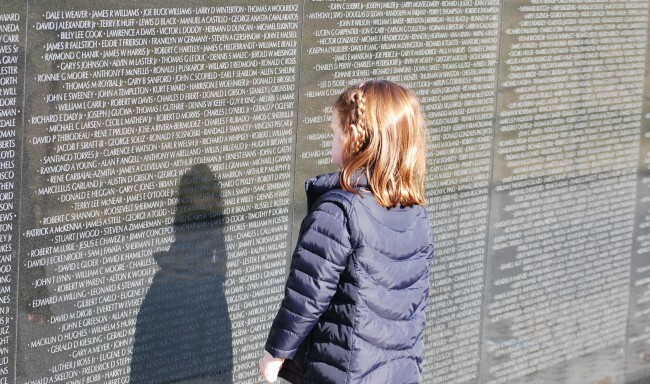 All ages will be impacted by the seemingly never ending list of names etched on a black wall that represent the fallen veterans who served during the Vietnam War. 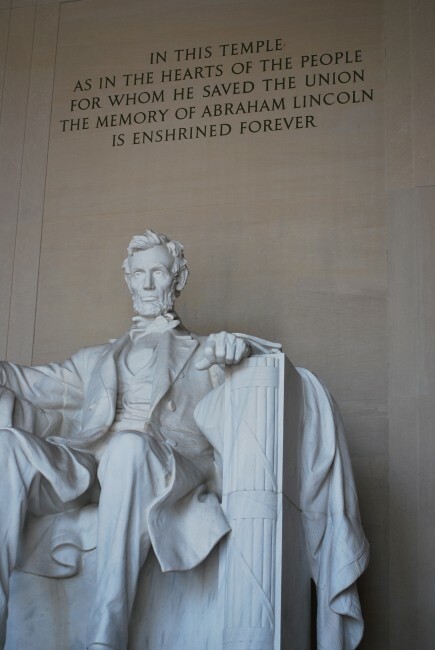 The memorial is located right next to the Lincoln Memorial so it is easy to visit both during the same trip. In addition to the official government website, be sure to visit The Wall-USA for additional information about the memorial and the soldiers. Hours: The memorial is open 24 hours a day, 7 days a week with park rangers available to answer questions from 9:30am – 11:30pm. Tours are given every hour on the hour between 10:00am – 11:00pm. Call 202-595-0093 while you are at the wall for an audio tour. From the statues of the 19 ground troops to the faces of the soldiers reflected in the granite wall, the Korean War Veterans Memorial is a reminder that, “Freedom is not free.” The memorial is located next to the Lincoln Memorial and across the reflecting pool from the Vietnam Memorial. Hours: The memorial is open 24 hours a day, 7 days a week with U.S. Park Rangers available to answer questions from 9:30am – 11:30pm. Blink and you may miss it. Compared to the recently built memorials, the World War I Memorial is very modest. It is located in a grove of trees beside the reflecting pool. If you are looking at the Lincoln Memorial it will be on your left. Hours: The memorial is open 24 hours a day, 7 days a week. The memorial was paid for by private funds and is not part of the National Park Service so there are no park rangers on staff. 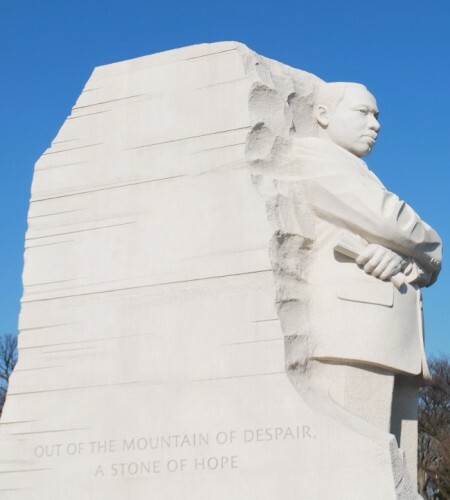 The Martin Luther King Memorial is Washington’s newest memorial and is the first memorial along the mall not dedicated to a president or war hero. 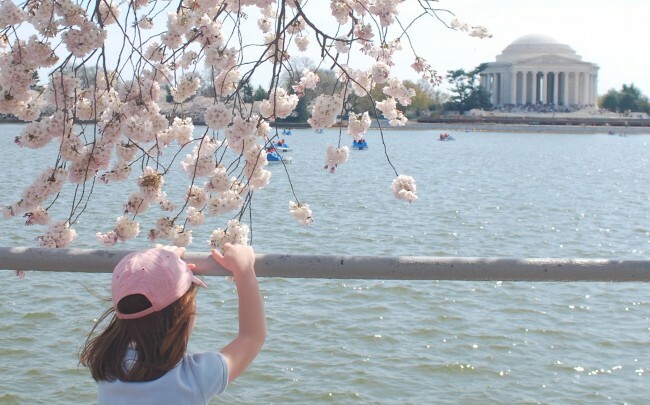 The memorial is located along Independence Avenue on the Tidal Basin between the Lincoln and Jefferson Memorials. This would be another great spot to view the cherry blossoms. Click here for a map. Hours: The memorial is open 24 hours a day, 7 days a week. There is an information center and gift shop at the site which is open from 9:00am – 10:00pm. The Albert Einstein Memorial is currently closed as it undergoes renovations. Located at the National Academy of Sciences this larger than life statue of Albert Einstein is a great photo op. Climb into his lap and snap a great family photo. The statue is located 2100 Constitution Ave., NW. If you are at the Lincoln Memorial it would be a short walk north (if you are looking at the Lincoln Memorial walk to your right). Hours: The memorial is open 24 hours a day, 7 days a week. The memorial is not part of the National Park Services so no park rangers will be on duty. 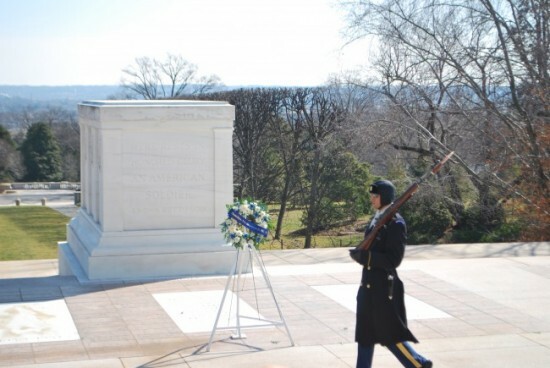 The changing of the guardsat the Tomb of the Unknown soldier occurs every hour on the hour. 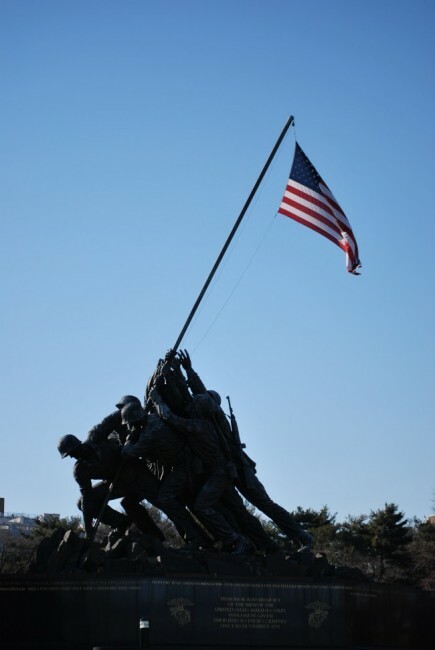 The memorial is also know as the U.S. Marine Corp War Memorial and memorializes the famous photograph depicting marines raising the American Flag after capturing the South Pacific Island of Iwo Jima during World War II. Every summer beginning the first Tuesday after Memorial Day and running through the end of August the Marines host a Sunset Parade on the Parade Deck of the memorial on Tuesdays at 6:30 pm. The performance lasts for one hour and features the U.S. Drum and Bugle Corp and the Marine Corp Silent Drill Platoon. It is open to the public with no charge so grab a blanket and a picnic! Hours: 6:00 am – midnight, 365 days a year. Metro Stop: Rosslyn – it is about a mile walk to the memorial. 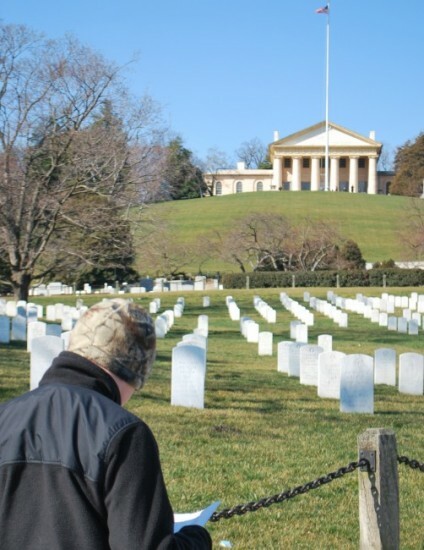 Summer Concerts: There is free shuttle from Arlington National Cemetery Visitor’s Center to accommodate those wanting to attend the free summer concerts. It runs from 5:30 pm-6:30 pm to Iwo Jima and back to the Arlington Cemetery Visitor’s Center from 7:30 pm-8:30 pm. 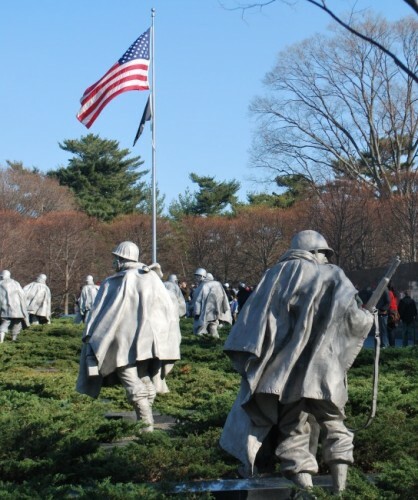 The iconic Iwo Jima Memorial is not only beautiful, but its location in Arlington, VA gives you great views of the Washington skyline, especially the postcard shot of the Capitol, Washington Monument and the Lincoln Memorial.